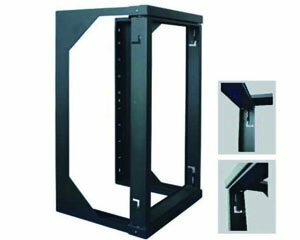 8U Open Wall Mount Frame Rack - Swing Out Door. Steel Frame, #12-24 screws and washers included. 18" Fixed Depth. 70Lbs Capacity.